Kyrie Andrew Irving is a professional basketball player in the National Basketball Association (NBA) who plays for the Cleveland (Ohio) Cavaliers. 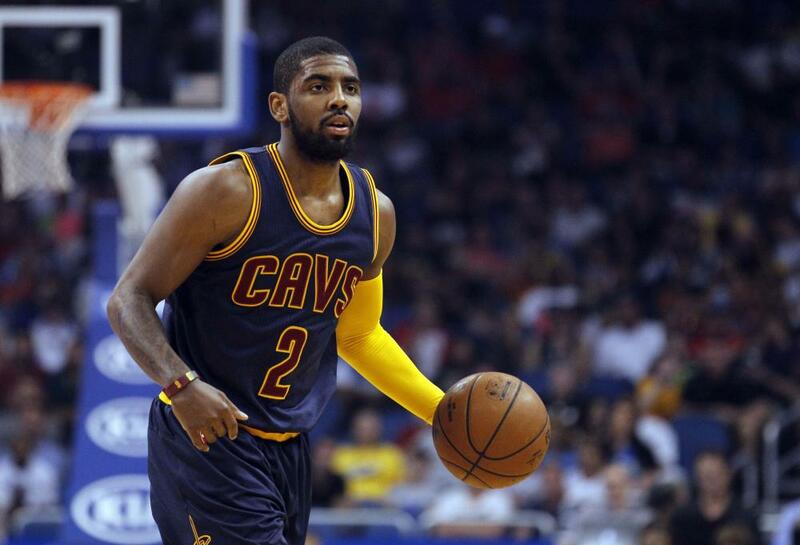 Since joining the NBA in 2011, Irving has established himself as one of the league’s elite point guards. His resume includes being a four-time NBA All-Star, NBA Rookie of the Year (2012), and NBA All-Star Game MVP (2014). Irving was born on March 23, 1992, in Melbourne, Victoria, Australia to Elizabeth and Drederick Irving. Irving also has an older sister named Asia Irving and younger sister name London Irving. Irving’s mother died from an illness when he was four years old. Irving grew up in West Orange, New Jersey, but he attended Montclair Kimberley Academy, a private K-12 school in Essex Country, New Jersey. Irving played on the academy’s basketball team during his freshman and sophomore years before transferring to St. Patrick High School, a Catholic high school located in Elizabeth, New Jersey. During his time playing with the St. Patrick High School basketball team, Irving helped lead it to the team’s third state tournament championship for its division. After graduating from high school in 2010, Irving attended Duke University in Durham, North Carolina where he played one year for the Duke Blue Devils men’s basketball team under head coach Mike Krzyzewski before declaring his eligibility for the 2011 NBA Draft. Irving was selected as the number one overall pick in the 2011 NBA Draft by the Cleveland Cavaliers. During Irving’s rookie season, he was named 2012 NBA Rookie of the Year and was on the NBA All-Rookie First Team. Since he began playing with the Cavaliers in 2011, Irving has been a four-time NBA All-Star, NBA All-Star game MVP, NBA Three-point shooting champion, and NBA Rookie of the Year. One of Irving’s best NBA career’s moments came during the 2015-2016 NBA season when he won his first NBA championship alongside teammates LeBron James and Kevin Love when they defeated season record setting 73-9 Golden State (California) Warriors led by Stephen Curry, Klay Thompson, and Draymond Green in seven games in the 2016 NBA Finals. After the NBA Finals win, Irving earned a gold medal as a member of the USA men’s basketball team in the 2016 Rio de Janeiro, Brazil Olympic games. Irving’s successful NBA career continued into the 2016-2017 season where he and the Cavaliers returned to the NBA Finals for the third straight season only to lose in five games against Golden State. Irving has one daughter, Azurie Elizabeth Irving, who was born on November 23, 2015. Her mother, Andrea Wilson, was Irving’s ex-girlfriend. Irving was briefly in a relationship with singer Kehlani Ashley Parrish in early 2016. “Kyrie Irving,” The New York Times, http://www.nytimes.com/2012/03/01/sports/basketball/kyrie-irving-of-cavaliers-is-exceeding-expectations.html; “Kyrie Irving,” Herald Sun, http://www.heraldsun.com.au/leader/east/melbourneborn-nba-superstar-kyrie-irving-visiting-hometown-running-camps-at-state-basketball-centre-in-wantirna/news-story/2ee9f1086de613c314a10ff6abeae69a; “Kyrie Irving,” Basketball Reference, https://www.basketball-reference.com/players/i/irvinky01/gamelog/2015/.